The ship in question, the galleon Our Lady of Juncal, was part of a fleet hit by a powerful storm in 1631 in “one of the greatest tragedies that has ever occurred in Mexican waters,” according to Mexico’s National Institute of Anthropology and History. The proposal by Odyssey Marine Exploration Inc. of Tampa, Florida, “is not intended to conduct research and does not have the approval of archaeologists or an academic institution of recognized prestige,” the Institute said. 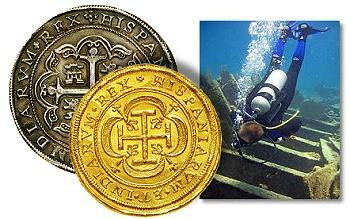 It added that “treasure hunters have always had their eyes on” the wreck site. "You can be a good businessman and a good scientist "
So says Odyssey Marine’s Gregg Stemm in an interview with Spiegel Online International. SPIEGEL ONLINE: Would you call yourself a treasure hunter? Stemm: No, that sounds as if we just picked up treasures from the ocean and did not care about anything else. That is not what we do. SPIEGEL ONLINE: You alway stress the scientific part of what you do rather than the quest for profit. Yet you are CEO of a publicly traded company and have to think about your investors. Stemm: It is a fusion of business and science. Some people might be cynical about it, but I see no difference to medicine, chemistry and other sciences. They all earn money, yet nobody would doubt that they do valuable scientific work. You can be a good businessman and a good scientist at the same time. SPIEGEL ONLINE: Still, marine archaeologists regard your trade with suspicion. They say commercial salvage companies destroy wrecks and disturb the dead. Stemm: They do not have any evidence. During our work in the English Channel, we investigated 25 shipwreck sites. We took only very few artifacts and delivered them to the British government. We do not talk about marine archaeology, we practice it. 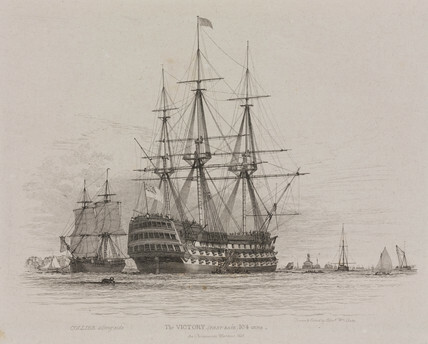 Excavating a wreck like the HMS Victory costs $30 million. No government is willing to spend that kind of money — even less so in a recession. Author Derek FinchamPosted on February 4, 2009 Categories UncategorizedTags Odyssey Marine Exploration, Underwater Cultural Heritage, Underwater Sites - "Black Swan", Underwater Sites - HMS VictoryLeave a comment on "You can be a good businessman and a good scientist "